The recipe is from “Salads: Beyond the Bowl”“Salads: Beyond the Bowl” (Kyle), of which I received a review copy last year. 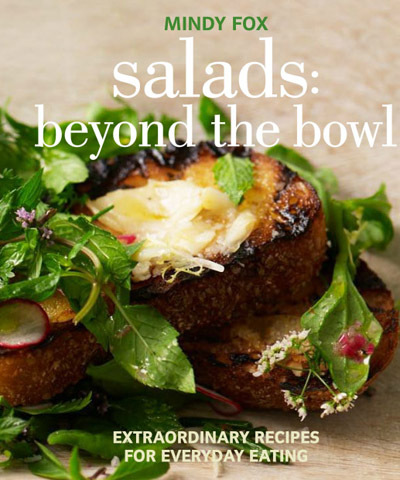 The book by Mindy Fox, food editor of La Cucina Italiana, includes 100 recipes for simple yet elegant salads that feature leafy lettuce, potatoes, beans, pasta, fish, game or meat. This salad couldn’t be simpler, especially because the easy dressing is made right in the bowl you toss everything in. 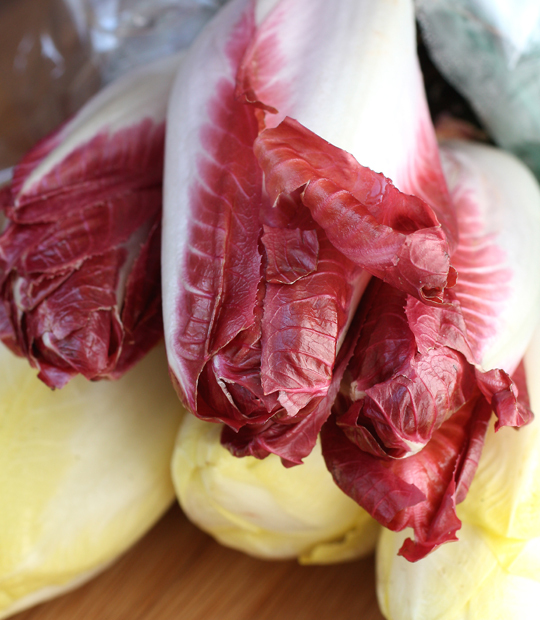 It calls for both radicchio and Belgian endive. But I used all endive, in both green and red varieties after getting samples from California Vegetable Specialties of Rio Vista, CA, the only producer of endives in the United States. The company grows more than 4 million pounds of endive (and yes, it’s pronounced “on-deev”) annually. 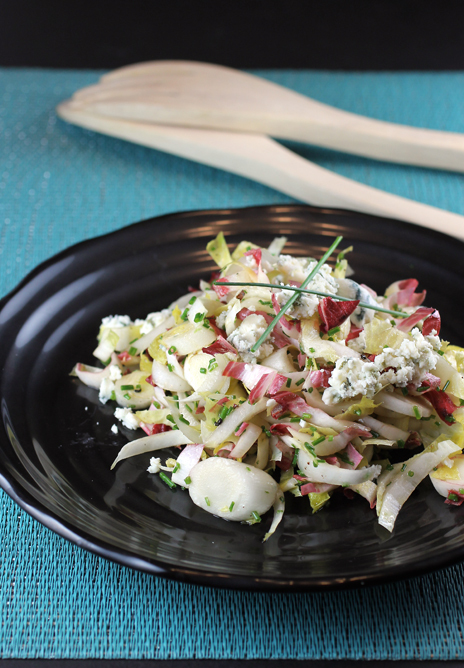 The endive is tossed with olive oil, chives and red vinegar. Tangy, nutty Maytag blue cheese is crumbled all over the top. It makes for an effortless salad with big flavors for Easter brunch or for any warm day ahead. Cut radicchio in half lengthwise. Cut out and discard the core, then cut the head crosswise into 1/8-inch-thick ribbons. Cut endive crosswise on a slight diagonal into 1/8-inch-thick slices, through the core. 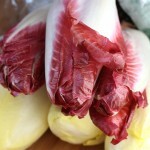 In a large bowl, combine radicchio, endive and chives. Add the oil, vinegar, and 1/2 teaspoon salt and 3/4 teaspoon pepper. Toss to combine, then taste and adjust the seasoning, if necessary. Mound the greens onto 4 serving plates, then crumble the blue cheese over the greens with more black pepper to taste. 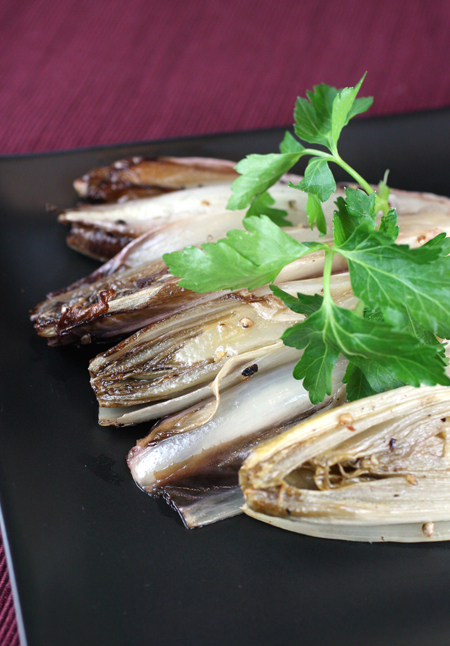 Endives are very versatile and so delicious. A beautiful and tasty salad! 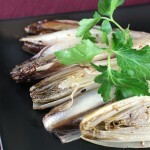 I love a nice braised endive! Endives are one of my favorites and this recipe is so easy – practically a no-brainer. Endives aka called witloof over here is a typican Belgian product! I also love the red & normal white varieaty! I love it raw, in soups with beer & grilled too! The recipe looks great, and the whole cookbook sounds amazing. I’ll keep my eyes open for it! I love endive any way I can get it! And it always works so well in a salad. 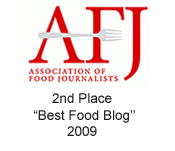 I should try it with the blue cheese – it sounds like an excellent pairing. 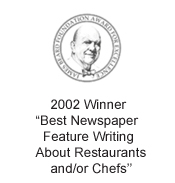 Good stuff – thanks. Endive is one of my “go to” greens in the winter. Your salad looks terrific. 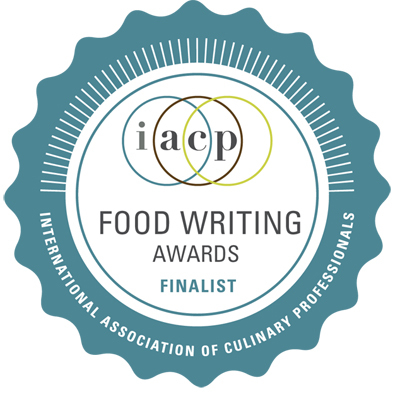 Your endive salad sounds – and looks! – lovely!